There is no doubt that many of the ideas and terms first introduced in the Yi Jing play significant roles in Neo-Confucian thinking on many subjects. This past semester, as one of the four stage-setting class sessions that came at the beginning of my course on Neo-Confucianism, I introduced the core text of the Yi Jing, discussed some specific hexagrams with my students, and then we performed a divination in class. After discussing the results of the divination, we ended with discussion of key parts of the Great Appendix (the Xici Zhuan). It was a great experience – the divination was particularly memorable for all of us – and the rudimentary grasp of the Yi Jing that it provided served us well repeatedly later in the class. There are many translations of the Yi Jing available. For the purposes of my class, I found that Lynn’s translation (The Classic of Changes; Columbia, 1994) worked well. It distributes most of the commentaries so the relevant portions are together with the hexagram on which they comment, and I also found its inclusion of Wang Bi’s inter-linear commentary to be useful to myself and to students. Since this came at the beginning of the course, it would have been premature to make much use of commentaries by Cheng Yi, Zhu Xi, or other Neo-Confucians at this point. Our engagement with the text proceeded through four phases. The key at this point is to explain basic notions like yin and yang, the structure and composition of the hexagrams, and how the various commentaries function. Stage two is to dig into a few hexagrams together. I chose #48 (“The Well”) and #49 (“Radical Change”) more-or-less at random, but found that they worked well, illustrating many of the concepts at the core of the text’s functioning. Stage three is to conduct an actual divination. Both Lynn and Redmond & Hon give helpful information on how to do this. I recommend following the latter’s advice and making a ritual out of it: carefully formulating a question (possibly the students have prepared potential questions in advance), making sure the diviner is facing north, engaging in some silent preparation before casting the coins, etc. After we had a result, I was able to use my university’s electronic version of the Lynn translation to project the given hexagram on a screen at the front of the room for all to see, since the students did not have full copies of the book at their disposal. We then read and discussed the result together, including attending to the consequences of “old” (or moving) lines and the attendant transformations. Stage four is to read and discuss at least some parts of the Great Appendix, whether from Lynn’s edition or another (since I was using Tiwald and Van Norden’s Readings in Later Chinese Philosophy, I was able to assign its version). Taken together, this class session gave all of us a way of grasping the idea of an interdependent, dynamic cosmos that far surpassed merely being told that the Neo-Confucians drew on earlier ideas of “interdependent, dynamic cosmos.” The divination was especially effective, because we inevitably were encouraged to look at our own world in something like this same way, which helped the students begin to think their way into the worldview of the Neo-Confucians. 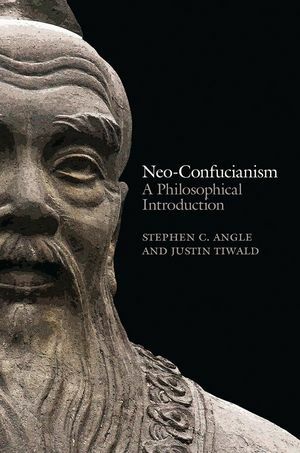 This part is extremely important for students, scholars, and anyone interest in the Yijing and Neo-Confucianism. This is because, in Song dynasty, most masters’s theory are based on the interpretation of the Yijing. I’m not sure whether I am fortunate enough to know the syllabus or other materials. Meanwhile, if you can give some official version of translations of the Yijing can not be more great.